Currently, the majority of handsets allowed for use by Pentagon employees are BlackBerry models, but that could be about to change. 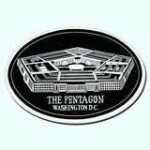 During a press conference on Tuesday, Air Force Maj. Gen. Robert Wheeler, the Pentagon’s deputy chief information officer, said that the agency is about to go "device agnostic," and while the Pentagon is not about to change its policy to BYOD, it will allow employees to use an Android or iOS device starting in February 2014. Actually, any operating system that can meet the tough requirements of the Pentagon will be be able to be used by employees and so far that includes BlackBerry, iOS and Android. 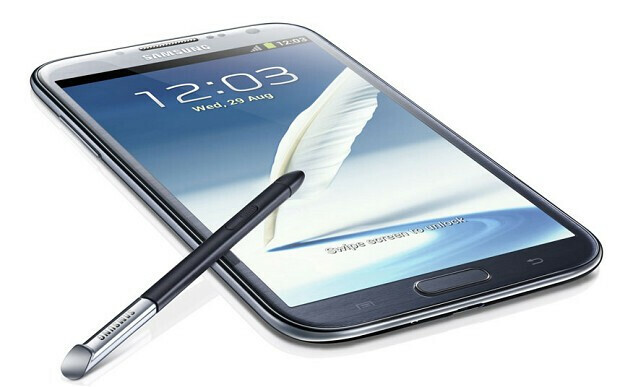 Will you bring a Samsung GALAXY Note II to work at the Pentagon? Right now, 470,000 of the 600,000 mobile handsets used by the Pentagon are BlackBerry models. You can expect a big change in those figures next year. According to a release issued by the Defense Department, the agency wants to make sure that its employees sporting mobile devices have secure classified and protected unclassified solutions using commercial, off the shelf devices to cut back on costs. At the same time, the devices should allow for personal productivity. We've seen a number of corporations switch to iOS or Android from the BlackBerry platform along with some governmental agencies. The idea is to allow employees to use the same phone that they use at home to avoid the long learning curve that would be required for the use of an unfamiliar UI. But the confidentiality of their communication and data will be put to high risk if security agencies use open software. A lot of people use Android and iOS, and a lot more are hacking their way to every nook and cranny of these operating systems. Good luck to them. I gave you a thumbs up...not for the first sentence tho. I agree with everything else you said. Linux is run on many, many servers in big businesses, the govt, etc. Linux might not be big on the home desktop front...but for businesses its a major player. That said....the NSA was been dabbling with Android. That alone could be huge for Android and security. Unless the paranoid conspiracy theorist dont like the NSA....lol. Lucky are the people who would change from BB to -Insert Phone Here-. Why is this happened after the release of BB10, which is many times better than the previous versions. No one impressed with the new BB10. It seems to late Blackberry. You were really great pgone manufacturer and still. But unfortunately, you will die soon. This is the reason for delay and limited innovation If you were released bb10in 2011, it would have been a different story today. Very logical. It is too late bb. I give you thumb down because I disagree with your last sentence. Even if BB launch BB10 in 2011, it still can't compete with android. BB is not a company that were innovative enough to play in smartOS level. It won't be able to compete with Google innovative speed. Just look at Apple, it struggling now. It would be best for BB for let it go, and move to android instead. For more info about BB10 ''success''. go to statcounter, and check the UK & Canada Blackberry WEB VIEW before and after the BB10 released, and you'll know how screwed up BB is. The problem for RIM/BB (at least as regards the U.S. DoD) is that they were not able to retain their credibility as a viable partner for the U.S. DoD. When your market share drops from ~85% to 5%, there is a real risk of having to go out of business. The DoD wants nothing to do with a company that may not be around in 2 or 3 years. That was the impetus for the move away from RIM/BB. NSA has gone and developed a secure version of Android that is totally independent of even Google. Hardware is likewise independent of any one manufacturer. Meanwhile, RIM/BB continues to lose market share. Let me guess - their share price takes another hit. "When your market share drops from ~85% to 5%, there is a real risk of having to go out of business. The DoD wants nothing to do with a company that may not be around in 2 or 3 years." People need to step back...take the fanboy and hater shades off....and read this again. I never thought about it like this....and you make a great point. Not just the DoD...but I think any company would think like this. A company that may or may not got out of business....you worry about support. Future bug fixes, missing out on features, etc. Great point. Dear, Blackberry is blackberry and its gadgets working on bb OS. If Blackberry goes to Android, it would be epic fail. Htc, sony and LG are bleeding with Android despite they are great hardware manufacturer. The only new company that could win with android is Nokia. Simply, it has tremendous reputation and extremly reliable company. So, I dont see any hope to BB. They did everything possible. BUT, they sadly would not survive. BB10 must not have impressed the DOD enough to make them want to stick to the new BB10 in leiu of BB7 and earlier. They are not saying you can't use BB10, but they ARE saying that iOS and Android are just as allowable at this point... and even iOS devices might be cheaper than BB10 ones right now. If Android is allowed, then I wonder what they will say if someone askes for Huawei or ZTE? Will they be allowing that, or are those options, either implicitly or explicitly, in question? "If Android is allowed, then I wonder what they will say if someone askes for Huawei or ZTE? Will they be allowing that, or are those options, either implicitly or explicitly, in question?" Those two manufacturers will not be able to pass the supply chain transparency test. Chips in the handsets are sourced from the PRC. To be on the list of approved handsets, the handset must have all its chips sourced from outside of the PRC. That says it all. Thank you for the concise answer! Well...this has been going on for the past 2 years. Its happening at other business too. I'm interested in the split between all 3 when or if employees start switching to Android and iOS.